Pushbullet was one of the first apps that successfully made your Android notifications more accessible and useful. With Pushbullet, you can sync notifications to other devices, reply to messages on your PC, and so much more. 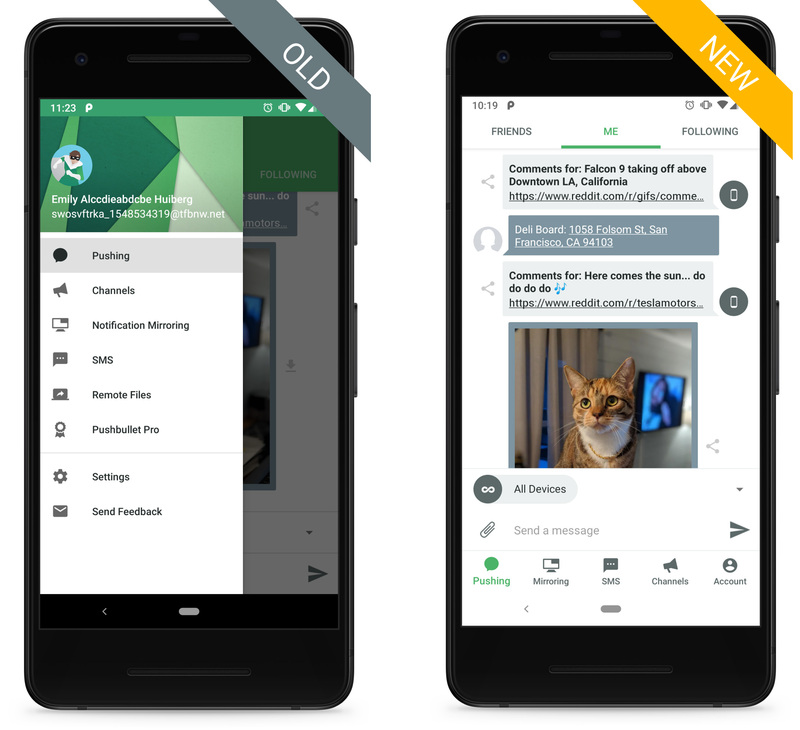 Development of the app slowed down over the last couple of years, but Pushbullet comes roaring back today with a major update. There are various design changes based on material theming, easier navigation, new icons, and more. You'll immediately notice the difference when opening the new Pushbullet. There's more white than in the old version, but it still has the green accent color in a few places. The slide-out navigation menu is gone, replaced with bottom tabs. Those tabs also hide when you have the keyboard open, which is a thoughtful feature. On your home screen, Pushbullet will be able to blend in better thanks to its adaptive icon support. Blending into a dark room is a challenge for many apps, but PB has you covered here, too. There's an in-app dark mode toggle that'll keep it from blasting your retinas at night. However, this feature is for pro users only. The new Pushbullet update will hit beta users first—you can join the beta right here. We also have the new beta on APK Mirror.